A New Day Dawns: No Turning Back Now! "The future is not going to wait on us. We have to go with it." Who said that? Steve Jobs? Peter Diamandis? Elon Musk? Richard Susskind? Those were the words of the American Bar Association Immediate Past President this week in San Francisco on the day she relinquished the mantel for her year of service. On passing the gavel to her successor, Paulette Brown was responding to the two years of work by the ABA Commission of the Future of Legal Services. The Futures Commission was established in 2014 by then ABA President William Hubbard to explore how the future of law should be expected to develop. 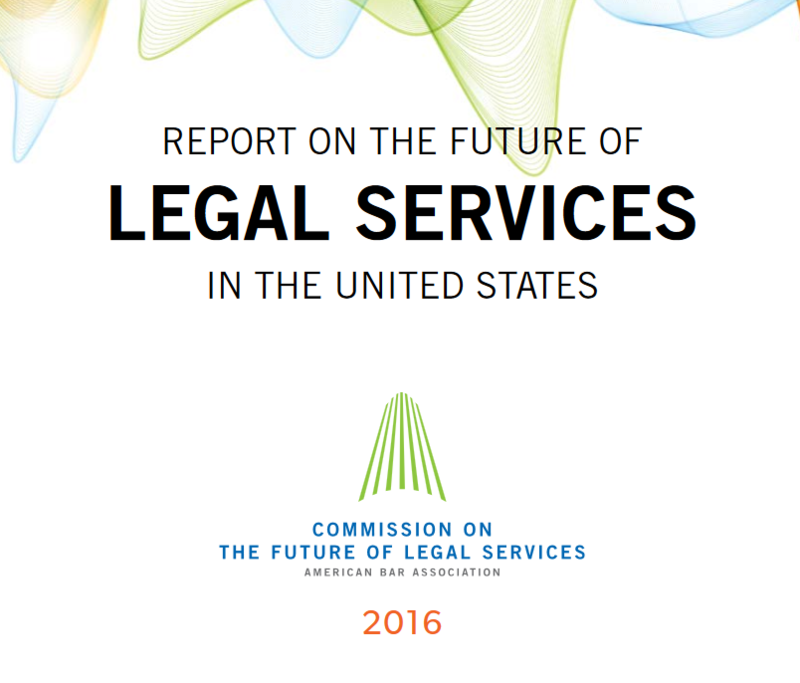 Its Report on the Future of Legal Services in the United States is a 100 page tour d' force review and set of recommendations for the legal profession. It is a no holds barred assessment of the challenges, failures and opportunities faced by lawyers to narrow the access to justice gap in the US. How did the new ABA President respond? The report was approved by the ABA Board of Governors. A close reading of the Futures Commission report is warranted by anyone in the business of law. No segment of the legal services industry escapes scrutiny. Courts, bar associations, law schools, BigLaw, solo's, legal tech and clients alike are encouraged to abandon their silo mentality and embrace innovation, change and collaboration. As much as we would like to hide from this disruptive reality, technology, artificial intelligence, new service models and alternative providers are lowering the barrier to entry and the costs of legal services. These are not forces to be resisted, but embraced . . . for the benefit of clients. Project management, process improvement and Lean operational methodologies apply as much to the delivery of legal services as they do to manufacturing and software development. The annoyingly familiar phrase "better, faster and cheaper" has as much to do with law as it does with consumer products. After all, the legal services industry exists to provide service to its consumers. The Report painfully observes that the legal profession has lost the public trust by its elite, discriminatory and exclusive approach to its business and services. Only by placing client interests first will our profession regain that trust. Only by working with other disciplines and experts can the fleet be turned in a new direction. The silos must fall. The Futures Commission makes 12 all encompassing recommendations for our profession's future. Each recommendation undercuts the status quo and requires rigorous innovation, creativity and courage. For many this report is a startling call to action. For others it is "too little, too late." For all, there is no turning back. 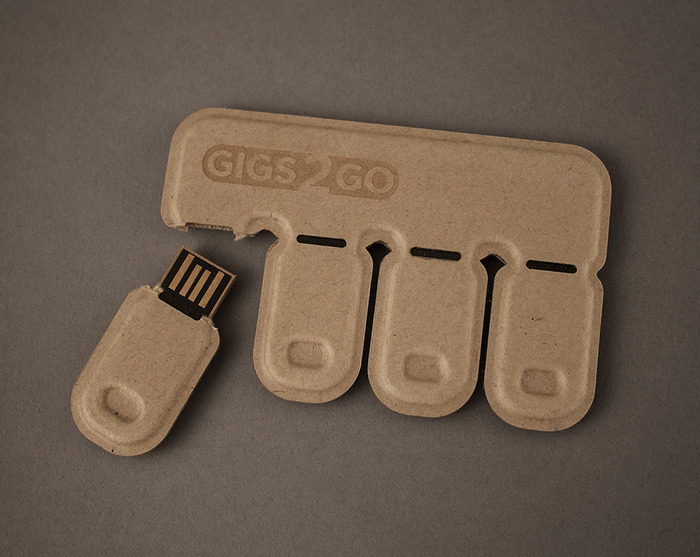 Like the handy Gig2Go USB flash drive which provides a temporary and portable file sharing tool when most needed and least expected, jobs are becoming Gigs to Go as well. The notion that employment has entered a disappearing act phase and some form of temporary independent contractor arrangements are growing exponentially is a threat to some and an incredible opportunity for others. It is astounding how many Uber drivers used to be taxi drivers working a "steady" job for an established company. The new brand of Uber drivers using their own vehicles and working when and where they want speak to me of being far more satisfied as their own independent business, than as a dispensable employee never more than five minutes away from a pink slip. Indeed, the social contract of "permanent" employment died in the last century as wave after wave of "reductions in force" and "corporate re-sizing" instructed all of us that employee status was the most impermanent of all economic conditions. Recent analysis of the global transition to a Gigging Economy (by which growing numbers of individuals only work from gig to gig or at many gigs at once) reveals this is more than a temporary aberration, but a permanent trend. The digital, on demand and sharing economy has fueled this new workforce of workers working on their own time and in response to market needs. Flexwork is an idea whose time has come. However, laws and economic expectations are not catching up as fast as the opportunities arise. As the U.S. celebrates Labor Day today (and as a career labor and employment lawyer) the status of work is of immense importance to us. In recognition of this pervasive movement toward "freelancing" employment, the New York Times editorial board today offered its opinion that we need Help for the Way we Work Now. It should seem inescapable that the period of stable "employee" relationships with trustworthy employers for a lifetime of secure employment has gone the way of the cathode ray tube. However, there is nothing new in this paradigm to lawyers, especially outside lawyers. Over 35 years of legal practice has taught me that my economic security is only as strong as my last engagement and the potential for the next one. Outside lawyers have been Giggers all our careers. It seems a bit oxymoronic to suggest that the exponential sharing and on demand economy will subject lawyers to threats of extinction. The best and the brightest always have adjusted to the changing economies. At least on this score, the Gigging economy is no different than whatever preceded it in the delivery of legal services.